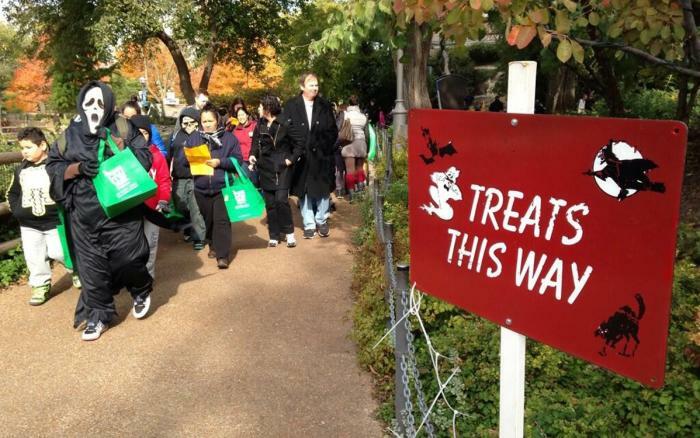 Tricks, treats and costume fun -- Halloween season in Chicago fills kids with awe and wonder. From a not-so-scary haunted house to suppertime with friendly snakes, there&apos;s something for every little ghost and goblin in Chicago this Halloween. Very much a Chicago Halloween tradition, Southport Avenue, from Belmont Avenue to Irving Park Road, turns into a trick-or-treating adventure for little ones every Halloween. It&apos;s a super-safe environment for candy collecting, with merchants handing out treats to mini-costumed customers from 4–8 p.m. on Halloween Eve, Monday, October 29. 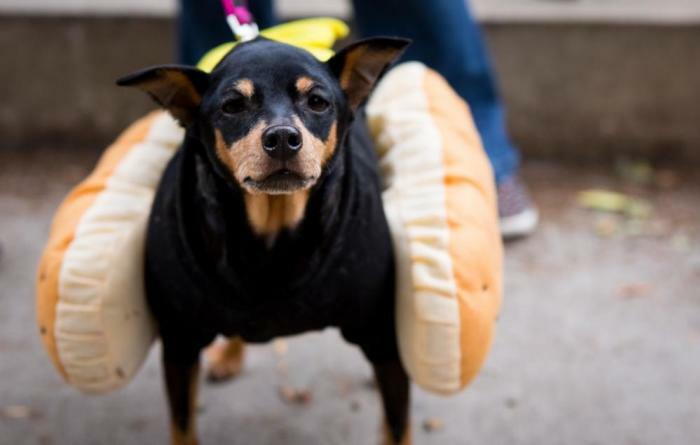 Check out more about Trick or Treat on Southport. At Harvest Fest at Indian Boundary Park on Sunday, October 7 (10am-2pm), the Chicago Park District brings a little bit of the country to the city. This pumpkin patch invites you to pick your favorite pumpkin and then personalize it at the pumpkin decorating station. Halloween-themed carnival games, a petting zoo, pony rides, and tattoos (the temporary ones, of course) complete a day&apos;s worth of fun. Oh, and don&apos;t forget to bring a camera for the harvest photo station. This event is free to enter, but activity tickets, priced at $1 per ticket, are required (note: cash only). Indian Boundary Park is located at 2500 W Lunt Ave.
3. HAVE SUPPER WITH THE SNAKES! We love this event, created by the Peggy Notebaert Nature Museum within the beautiful grounds of Lincoln Park (cue ponds, waterfalls, fountains and prairie plants!). On Friday, October 26 from 5:30-7:30pm, the museum will host the perfect Halloween event, Supper with the Snakes, introducing adults and children alike to these cool but often maligned creatures. Come all dressed up in your fav Halloween costume and enjoy an evening of "ssscrumptious treats, ssslithery friends, and sssilly games." 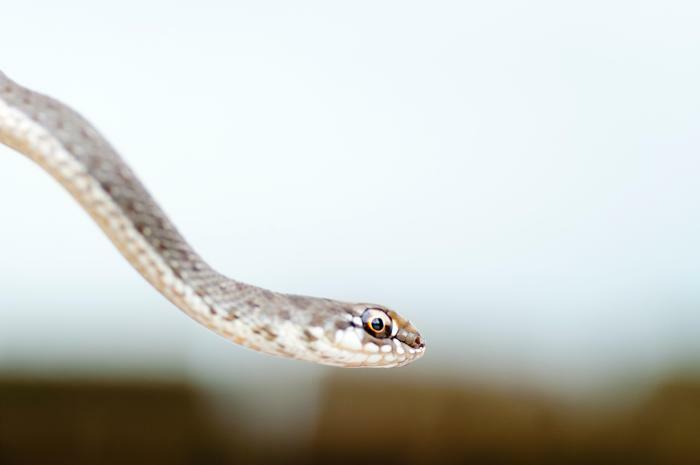 Trick or treat your way through the museum, which is full of live snakes, and explore new snake facts along the way. Join in games and craft projects to show your love for these amazing creatures, then hang out and dance! Activities are ideal for kids aged 2-10, and dinner is included in the ticket price ($25 for adults, $10 for kids 2-18, and free for kids under 2). Note: there&apos;s an additional $5 charge for tickets purchased at the door. Kids learn all about the history of the Day of the Dead, and up the ante on fun by making sugar skulls from scratch — and all in the park! Day of the Dead Sugar Skull workshops are scheduled throughout October at both Eugene Field Park (5100 N Ridgeway Ave) and Mayfair Park (4550 W Sunnyside Ave). This event is ideal for ages 6 and up. Each sugar skull created costs $20. October takes on an element of the surreal as dusk falls upon Chicago. Arts in the Dark brings together artists from around the city for a procession filled with spectacle, puppetry, legions of masked entities, luminous lanterns, and mesmerizing performances. This year’s parade, which takes place on October 20 from 6-8pm and departs from State Street, will be led by eight “Illuminaries” recognized as influencers in their respective fields. World-renowned institutions, including the likes of the Art Institute of Chicago and Lookingglass Theatre Company, get involved each year. 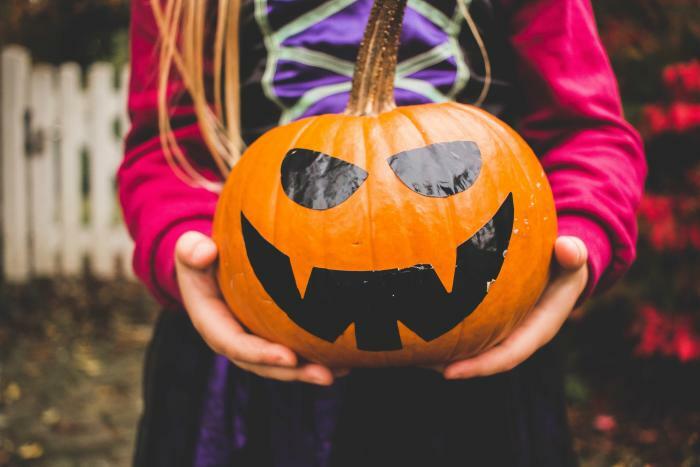 The Chicago Park District&apos;s FREE Haunted House at Kennicott Park, located at 4434 S Lake Park Ave, is the perfect place for families to play games, visit a haunted house, enjoy candy and giveaways, and embrace all the fun of Halloween. Mark your calendar for Saturday, October 27, 6-9pm. It&apos;s FREE, fun and in its 32nd year! Lincoln Park Zoo&apos;s Spooky Zoo Spectacular, which takes place on Saturday, October 27 from 10am-1pm, is all about kids and family, with toddler activities, trick-or-treating, and arts and crafts — not to mention the Haunted House at the Kovler Sea Pool and Fall Fest rides. Venture to Roger&apos;s Park for a FREE fright-free thrill fest! This family-friendly day features music/dancing, no-scare haunting, trick or treating, costume parades and a costume contest. Hallow-palooza at Indian Boundary takes place on Saturday, October 27 from 2-4pm at Indian Boundary Park (2500 W Lunt Ave). Go for a (free!) spin on a Halloween version of the famous Centennial Wheel at Navy Pier on Wednesday, October 31. 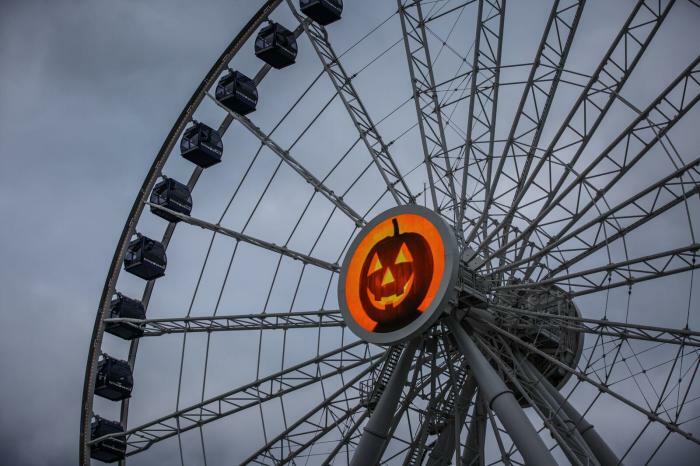 The first 1,031 guests to pre-register online will get a free ride on the wheel, which will be decked out in Halloween-themed colors, lighting and images on the spokes, rim and center hub screen. There will also be complimentary candy stations throughout the pier for trick-or-treating fun on October 27 and 31. Visit breathtaking Garfield Park Conservatory to meet live creatures in the conservatory&apos;s tropical plant collection — for FREE! Kids and families will learn about the unique relationships that exist between animals and plants as they collect sweet treats throughout the building. You&apos;ll also sing and dance to live music, create a creepy craft in the Family Activity area, and little ones can stop by the Tiny Tot Tent to explore the Sensory Table or take a moment to listen to a story in the Reading Nook. Creatures of the Night takes place on Saturday, October 27, from Noon-3pm. 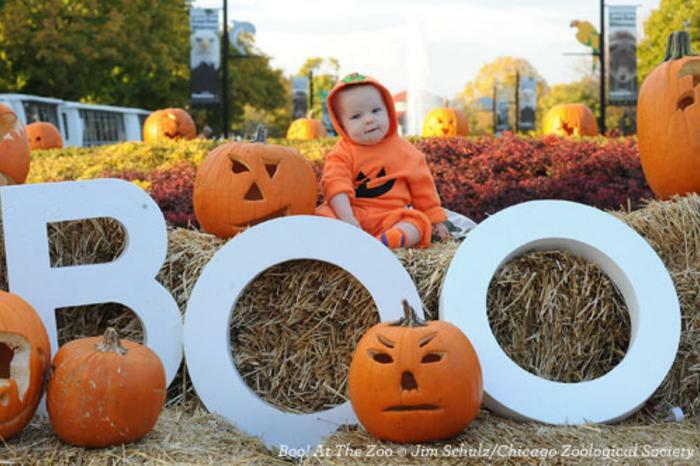 On Saturdays and Sundays, October 13 to 28, Brookfield Zoo welcomes little ghosts and goblins of all ages to Boo! at the Zoo. It&apos;s a not-so-scary and fun-filled event that has something for the entire family to enjoy. Think haunted hayrides, a pumpkin patch, the "Craized Maize" corn maze, professional pumpkin carvings, a creepy carousel, your very own scarecrow creations and treat stations. 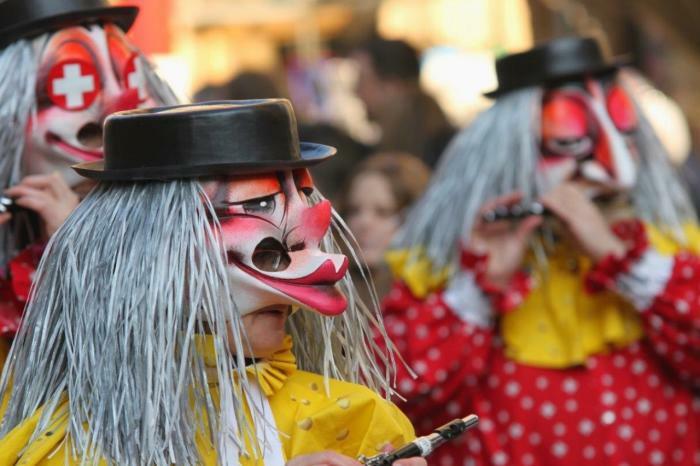 Each day, catch the popular Costume Parade and Costume Showcase. 12. 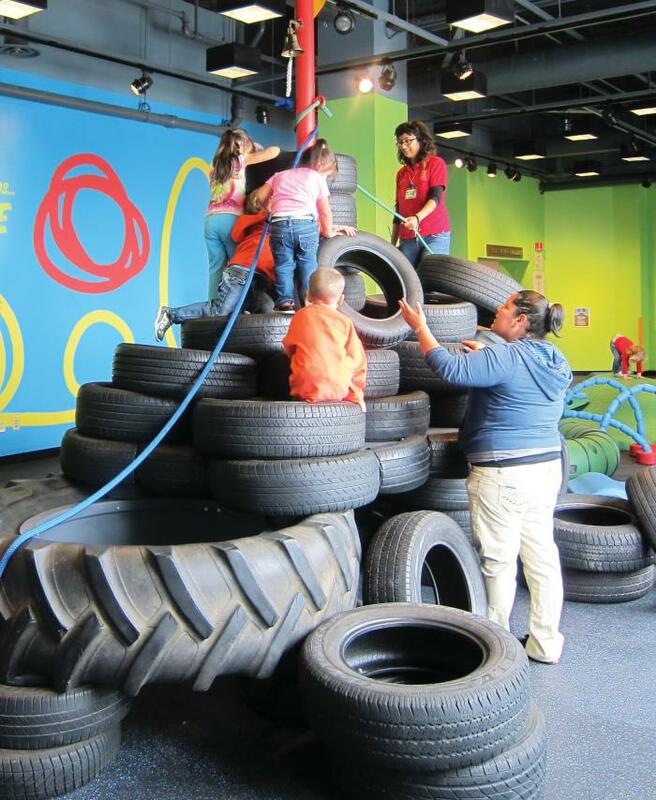 VISIT THE CHILDREN&apos;S MUSEUM ALL MONTH LONG! Throughout October, the Children&apos;s Museum at Navy Pier is hosting a trove of Halloween festivities, including Paint Your Face weekdays at 11:15 am, Slime! Fridays-Sundays (and Monday, Oct. 12) at 2:15 pm, Frankentoys, Saturdays and Sundays at 11:15 am, costuming on multiple days from October 6-November 1, Costume Design with Anna Glowacki October 15 at 5:30 & 6:30 pm and October 17-18 at 1, 2, 3 & 4 pm, and Kids Create: Make with Nature Wednesdays, 10 am-1 pm. Check out all the details! 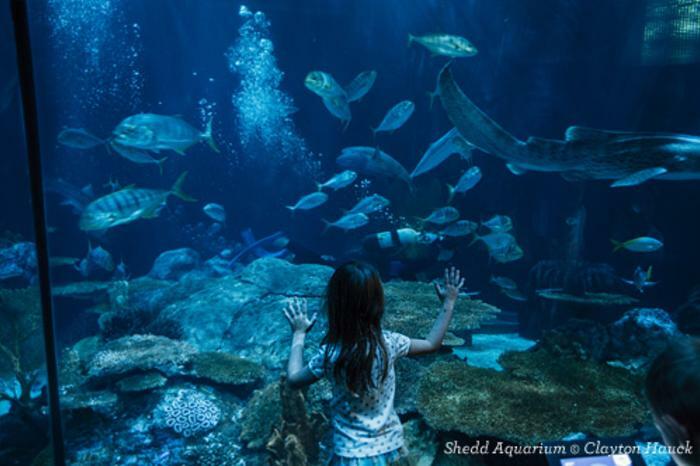 Kids have been clamoring for the Shedd Aquarium&apos;s Asleep with the Fishes overnight stays for ages. On October 26, though, the theme is Spooky Seas! You&apos;ll meet animals that come out at night, bust myths about animals like snakes and spiders, and learn about the slimy creatures that live below the waves. Various ticket options are available, starting with regular tickets ($85 per person); VIP - Caribbean Reef ($100 per person), which means you&apos;ll be sleeping in premium locations around the Caribbean Reef exhibit, home to sea turtles and sharks; VIP - Wild Reef, where you&apos;ll sleep among corals, rays and sharks ($110 per person); and VIP - Oceanarium ($125 per person), which has you bedding down in the underwater viewing area of the Abbott Oceanarium and waking up next to penguins, whales and dolphins!